Improving the performance of a slow computer | Computer Tech Tips For Everyone! Computer Tech Tips For Everyone! The one place for all your computer maintenance do's and don'ts! The value of computers in our lives simply can’t be quantified. They have become an invaluable component of everyday activities ad that is why when the function of your computer is impaired you will feel much disturbed and even depressed. A slow computer is frustrating to work with and often a sore experience for the user. Of important consideration is that most causes of slow computers do not work in singularity, they augment their activity thereby slowing computer performance. Though most official operating systems are quite capable of supporting multitasking, having too many programs run in the background may cause significant slowing down of your computer. Every program that is running eats up a portion of system resources, and thus you may have to close some of the programs that are not in use to speed up the system. Pressing Ctrl + Alt + Del or going to the task manager will show you what programs are running and what percentage of your CPU and memory they are consuming. Unnecessary processes can be stopped by clicking end task. Antivirus scanners, spyware protection, and other security systems can be configured such that they are not always running since their activity often tends to cause an overall slowing down of the system. This is especially common on Windows operating systems. Fragmentation of your computer drive occurs every time new files are created, new software is installed, you browse the internet or basically each time data is added or deleted from the hard drive. 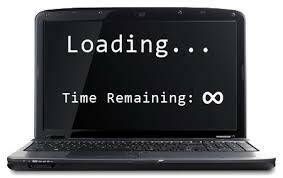 Fragmentation makes your system slow by increasing the time it takes to access various data elements. The windows defragmenter tool can effective cure this problem by consolidating scattered files and speeding up the access to data. Your computer’s registry is a centralized database containing every bit of information that corresponds to the hardware and software components of the system. The registry is pivotal in performing tasks such as mouse-clicking and running new programs. Its frequent access by your computer makes it predisposed to errors. It also gets loaded with lots of unused, unwanted and outdated entries that are invalid thus slowing your computer down. These problems can be resolved by regular registry cleanup routines. Computer parasites such as viruses, Trojans, spyware and backdoors among many others make it difficult for the computer to operate optimally. The malicious programs interfere with the running of applications in the computer and consequently the computer becomes slow. A reliable antivirus or antispyware software should be acquired to help you deal with such infections. The software must be kept up-to-date to safely secure your computer against emerging threats. A slow computer may be as a result of low RAM capacity which fails to support smooth execution of programs and computer operations. When the RAM is inadequate, some of the high-end software will not even run. 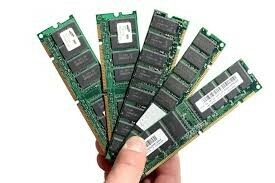 A computer specialist will help in boosting your computer’s RAM to excellent operating levels.